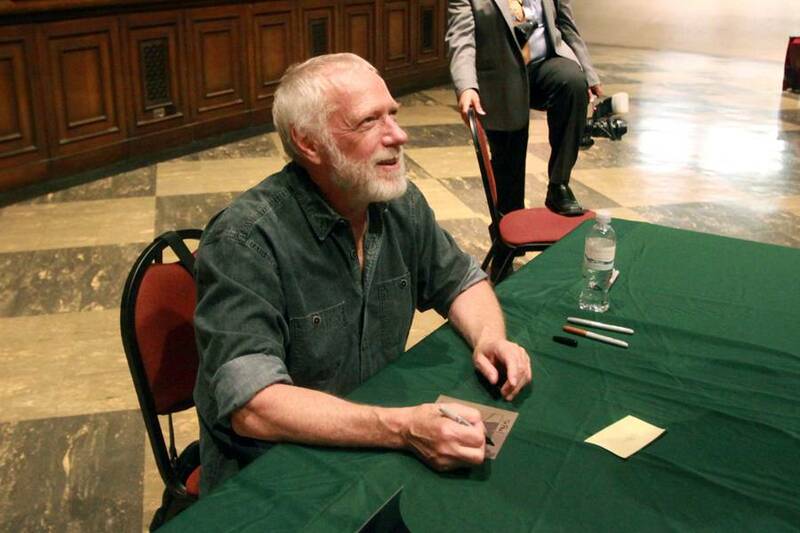 Glendale, Calif — This past saturday, the legendary poster artist Drew Struzan screened the documentary DREW – THE MAN BEHIND THE POSTER to fans at the Forest Lawn Museum in Glendale. 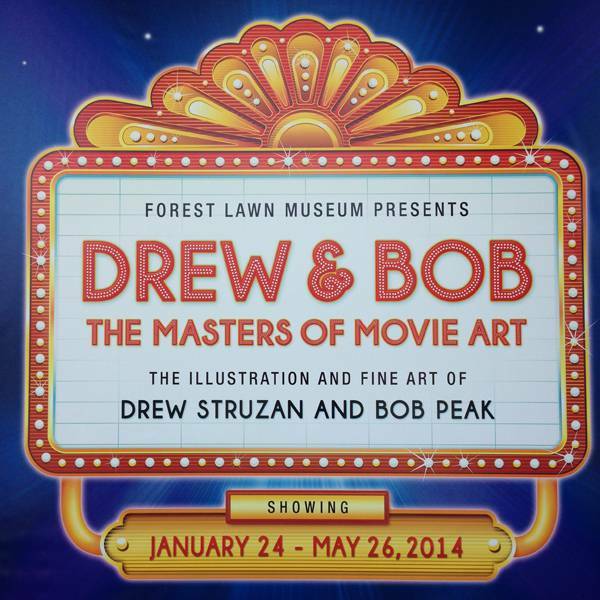 The famous cemetery, which is also the resting place of Walt Disney, is also the home of the temporary exhibit DREW & BOB: THE MASTERS OF MOVIE ART – The Illustration and Fine Art of Drew Struzan and Bob Peak. The exhibit runs through May 26th. 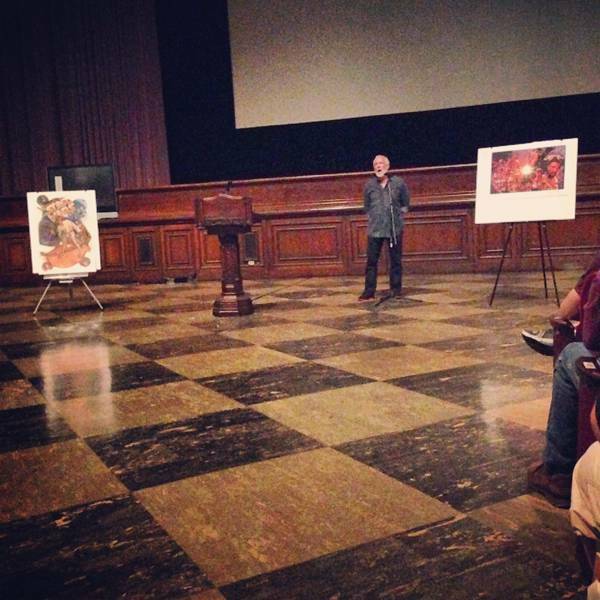 Following the screening, Struzan did a small Q&A that included questions about possible work on a certain trilogy. Drew replied that he has yet to get a call, but is always eager to help out those who have been loyal to him over the years. Attendees of the screening were given a raffle ticket to win some great prizes. Two winners took home DVD copies of Drew: The Man Behind the Poster and one went home with his Illustration Art Lesson DVD on the creation of the Hellboy Poster. 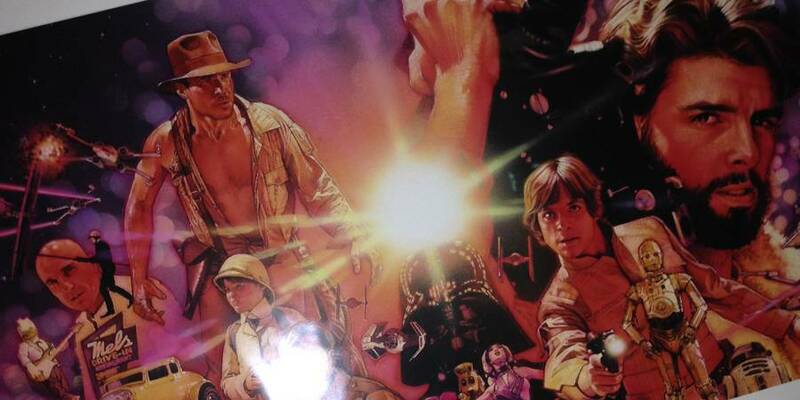 The two grand prizes, however, donated by Drew Struzan were the real treats. 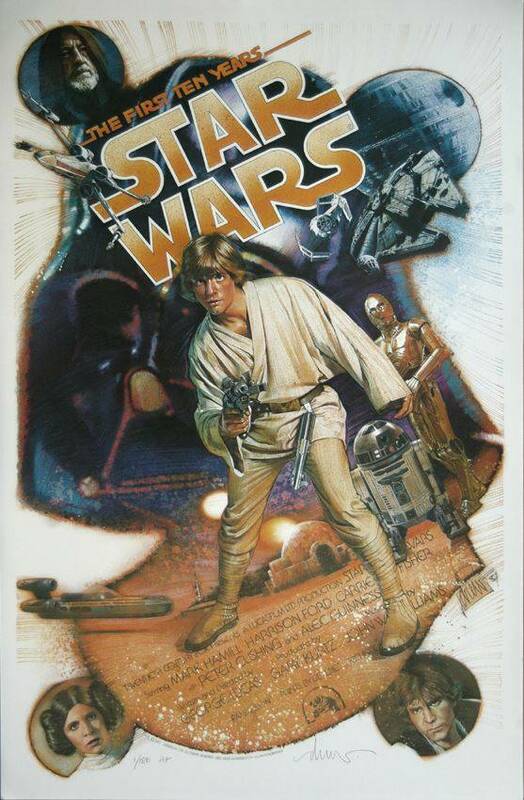 The first, an Artists’ Proof of the Star Wars 10th Anniversary Poster, signed by Drew Struzan. 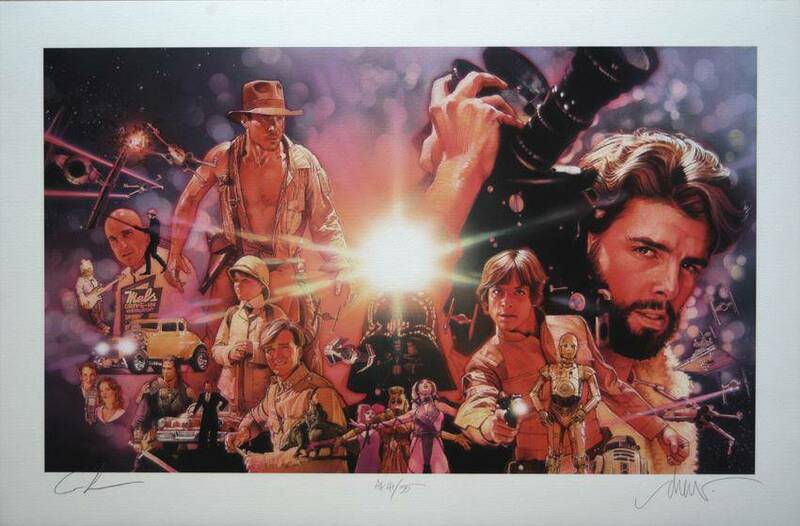 The second, giclee limited edition print of George Lucas/The Creative Impulse, numbered and hand signed by Drew Struzan and George Lucas. 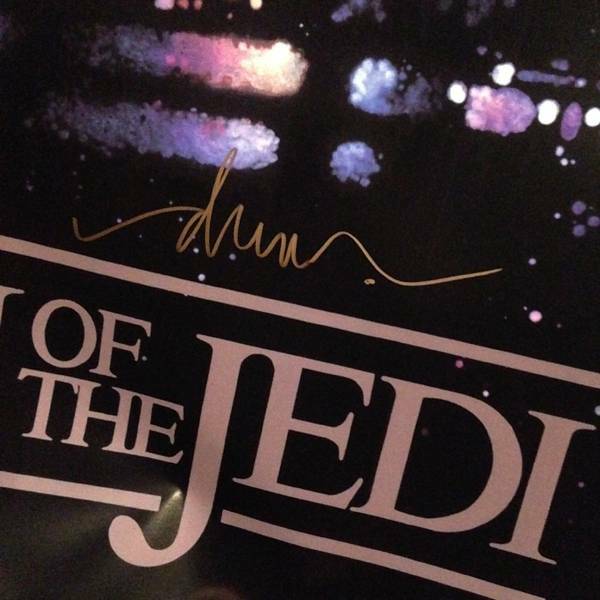 Following the raffle was a short reception and then a signing of which Struzan signed one item per person. If you went empty handed, the Museum store had plenty of items for sale, including posters for Return of the Jedi and Blade Runner. 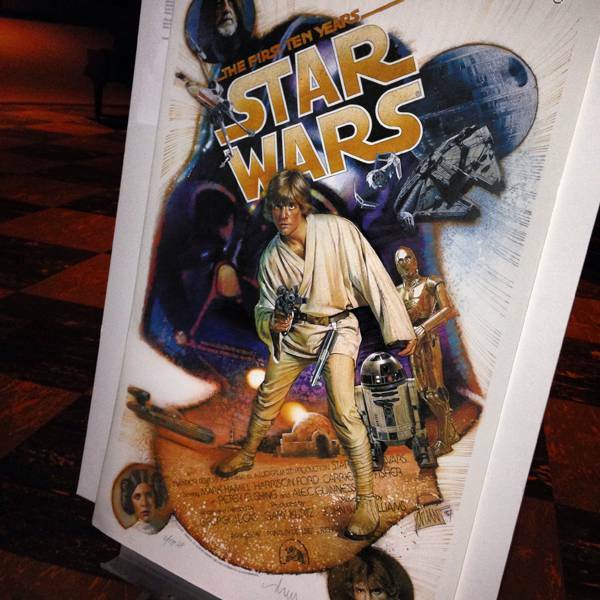 The store also sold the DVDs, post cards, and pre-signed Drew Struzan books for $110 if you couldn’t wait. So how much would attending an event like this cost? Surprisingly, it was all free. Free parking, free screening, free raffle, free cookies and soft drinks, free museum exhibit, and free signing. 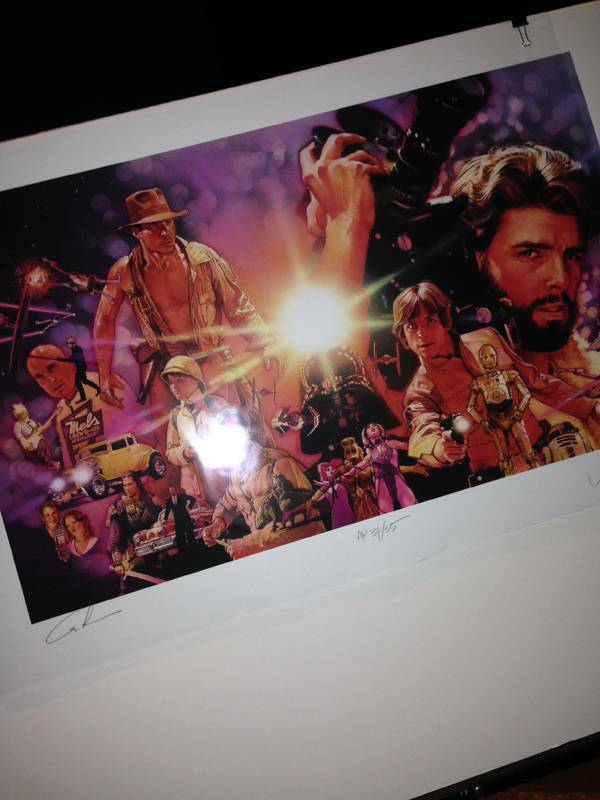 The real treat of it all though is meeting and talking with Drew Struzan, who couldn’t have been a nicer person. 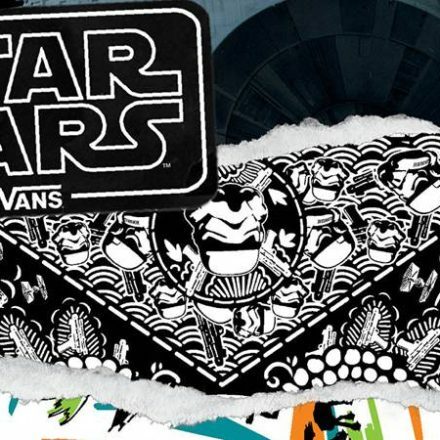 It’s a little bitter sweet though to see an industry that benefitted so much from his artwork completely go the ways of photoshop over illustration, but it’s still great to have these opportunities to celebrate a true artist. 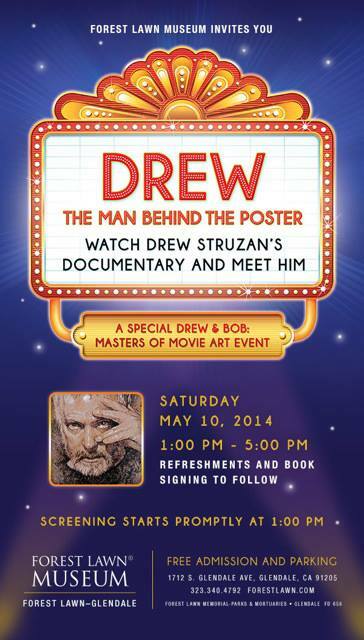 Drew: The Man Behind the Poster DVD is available for purchase on Amazon as well as Drew Struzan: Oeuvre, The Art of Drew Struzan.